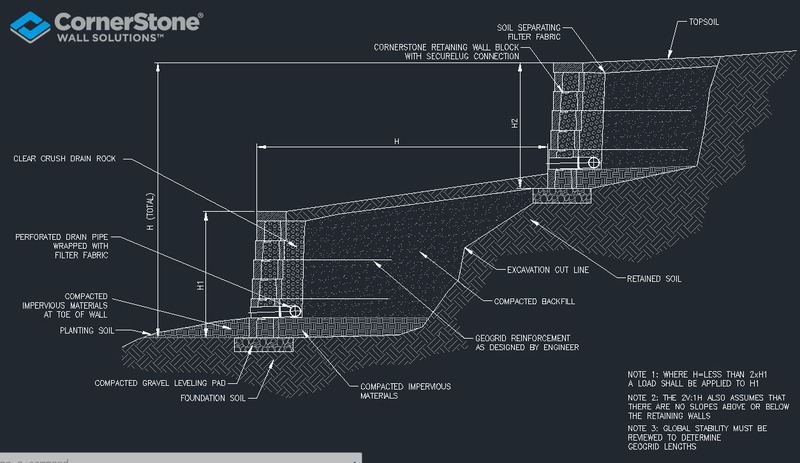 One of the things we love so much about the work we get to do here at CornerStone Wall Solutions inc. is seeing all the ways that our retaining wall systems come together that are not only functionally useful, but easy on the eyes as well. 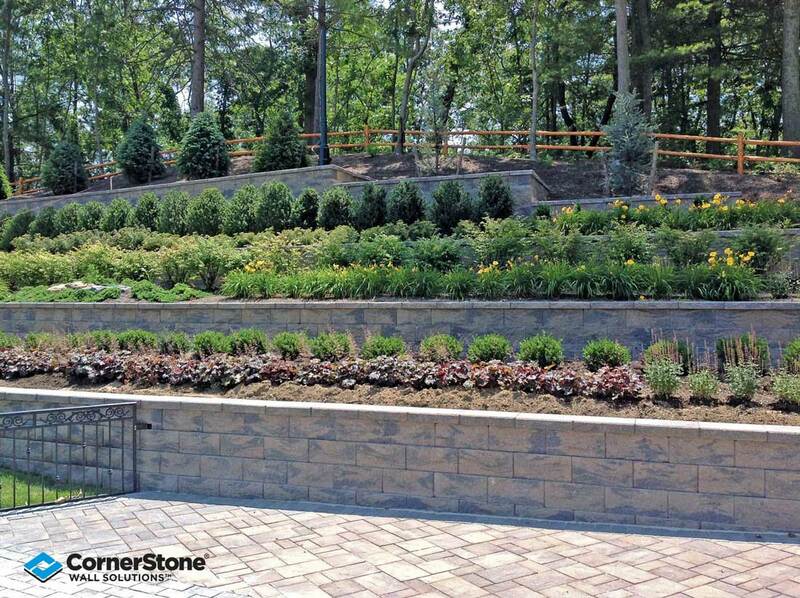 We love seeing the inspired creations our customers and clients are able to put together with CornerStone Products ! 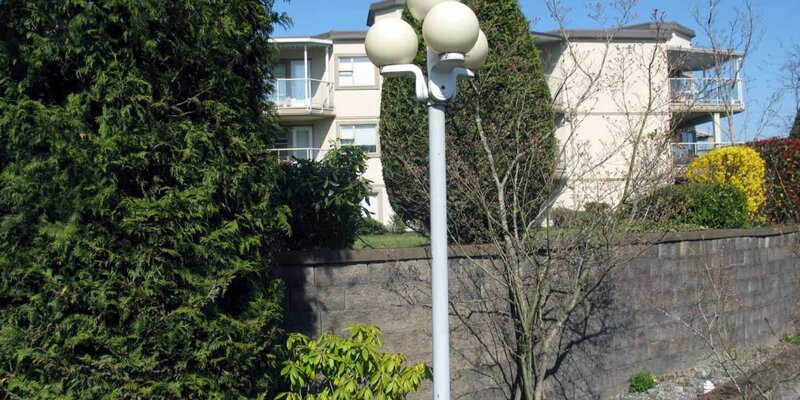 That said, it can sometimes be tricky to make a solid, 15-foot-tall retaining wall look like anything but a towering mass of concrete blocks. 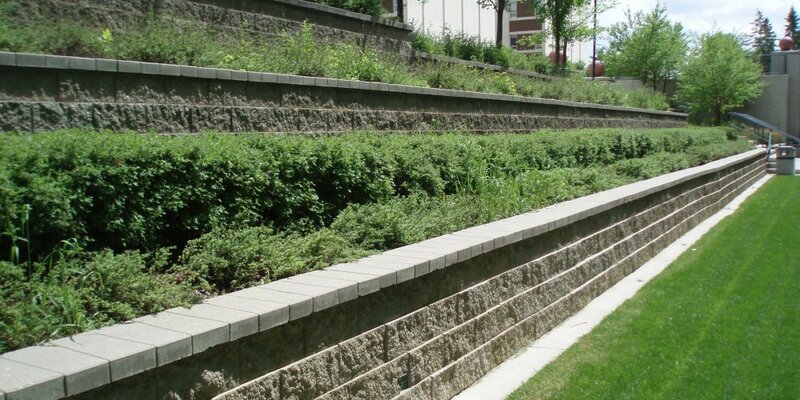 When it comes to this sort of work, we’d like to take a moment today to suggest the perfect pairing of form and function: terraced retaining walls. 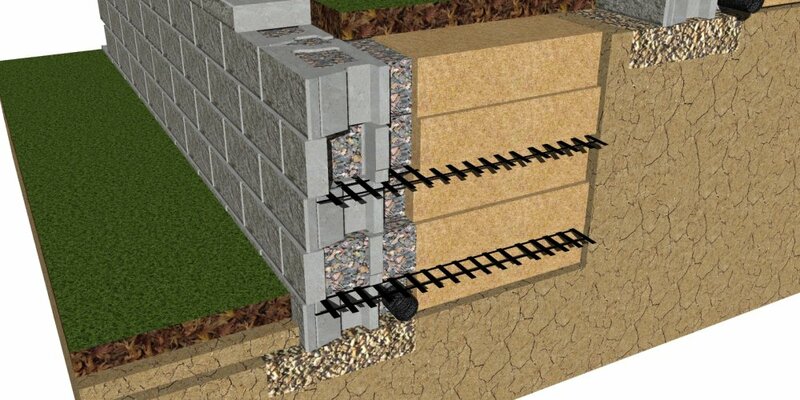 Why Think Terraced Retaining Wall? 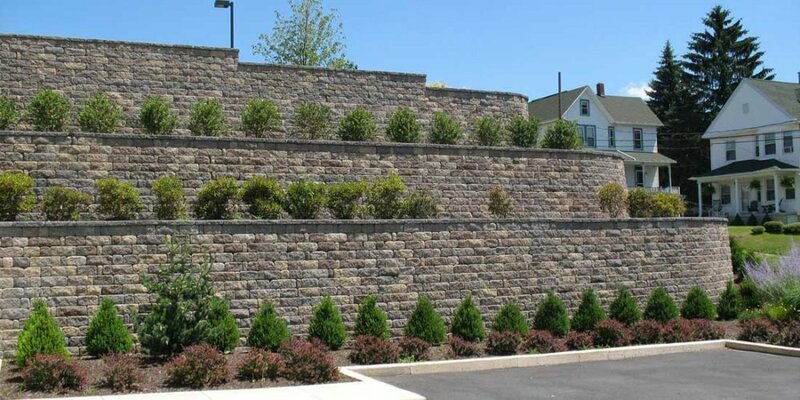 Terraced retaining walls can go a long way towards turning an imposing structure of one large retaining wall into something a little more appealing and tasteful. 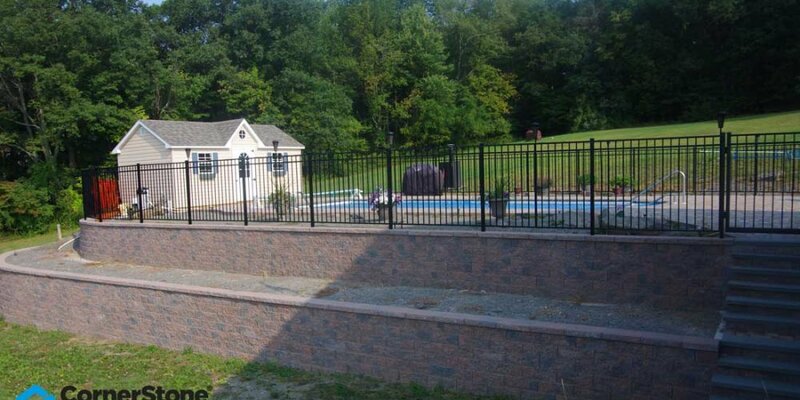 Essentially, terracing acts to break up a big, sheer wall-face into two or more smaller, staggered retaining walls, allowing for additional landscaping, creative brickwork (terraced walls can straight and formal, or can integrate curves and corners for a more natural, flowing look), and an overall more pleasing aesthetic. 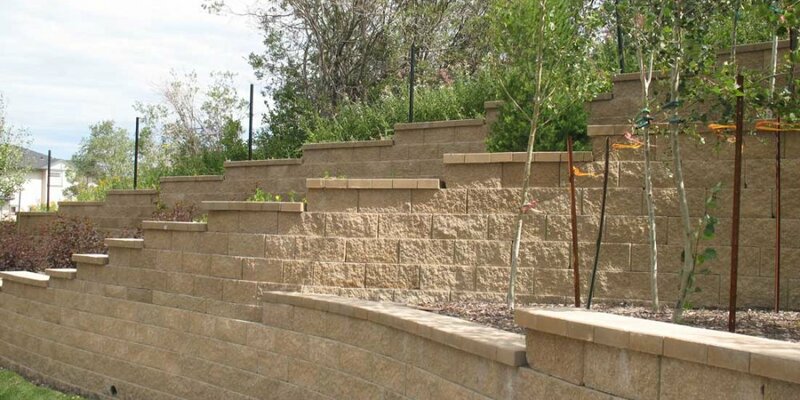 There are many reasons to consider terraced retaining walls, but most often, people go this route either due to engineering complications involved with a single wall, or simply because of the stylistic payoff. Total height. It’s important to consider the total height of your new wall – especially now that you’re building two or more of them! Global stability. This isn’t as much of a concern for smaller designs, but for larger projects (anything over 10 feet), you’ll want to take into consideration in order to ensure your new terraced wall has a solid footing, and that the ground or slope it’s built on will support it for years to come. Each individual terrace’s design. When building a terraced wall, it’s important to keep in mind that each terrace is designed as a separate structure. This is necessary to think about, because the bottom wall will need different design considerations than the top one, as it’s bearing a much heavier load. Also, it’s always a good idea to avoid loading walls on top of one another if there’s the space available to spread each tier out. Style and aesthetics. This is the fun part! 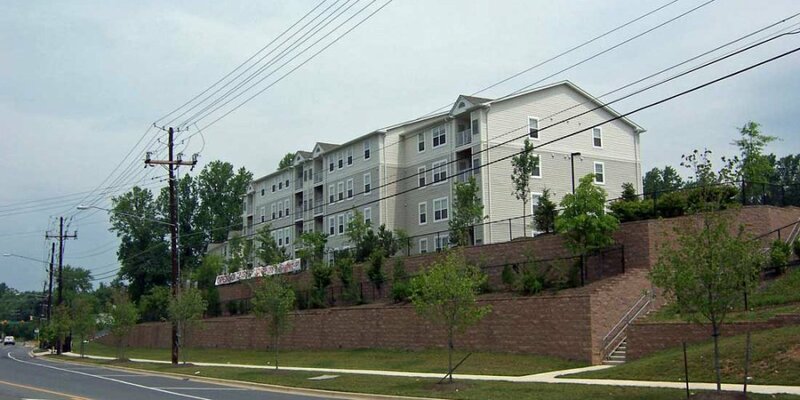 We love the freedom and creativity that terraced walls give property owners the license to enjoy. Terraced walls introduce more green space, the potential for interesting design work, and can even provide more shade to your outdoor area. 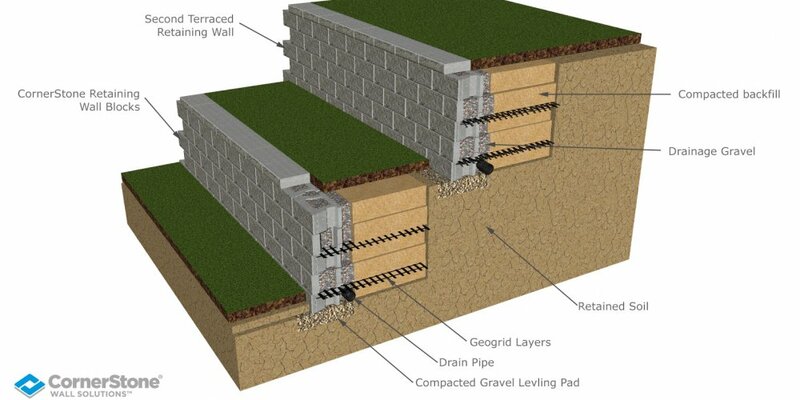 Geogrid. 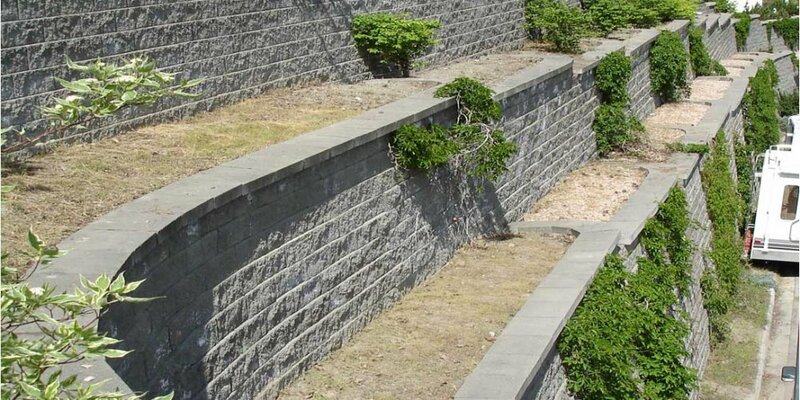 An important consideration for the stability and longevity of your project, and almost universally necessary when planning out a terraced retaining wall. 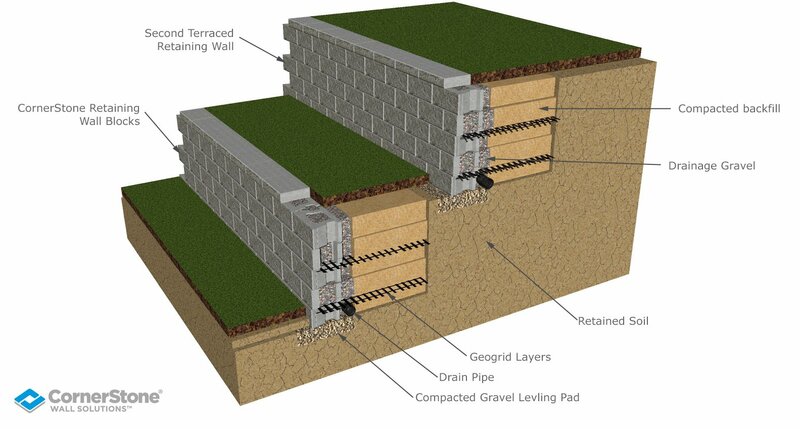 Typically, a geogrid’s length should come in at about 60% of the entire height of the wall for the bottom terrace, but a global stability analysis will help you determine the minimum geogrid length you should be looking at. Also, don’t forget that the geogrid should not go past your adjacent property line, and you’ll stay out of trouble. The “Two Times” Rule of Thumb. When dealing with the design aspect of your walls. A great rule of thumb to follow and consider is that if the distance between your first and second wall is Two Times the height of your first (bottom) wall then both walls can be design separately. The top wall is not considered to be loading onto the bottom wall. Each wall can be designed separately. 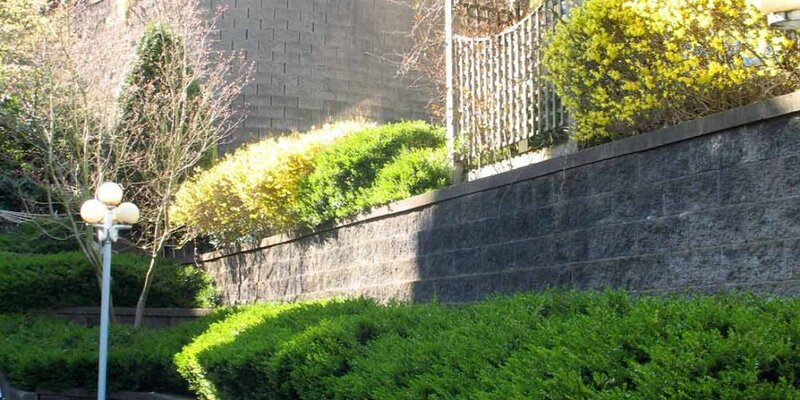 In all cases we recommend that Engineer be consulted to ensure you are planning these terraced retaining walls properly. (See Diagram). One very nice feature of splitting up your giant walls is planting pockets. Breaking up your wall with shrubs, small trees and greenery can really beautify that towering mass of concrete we spoke of earlier. The added advantage of not just the green space within your wall is the cooling effect of that greenery. We are learning all the time how much the heat island effect in our urban settings is damaging all aspects of city-scapes. 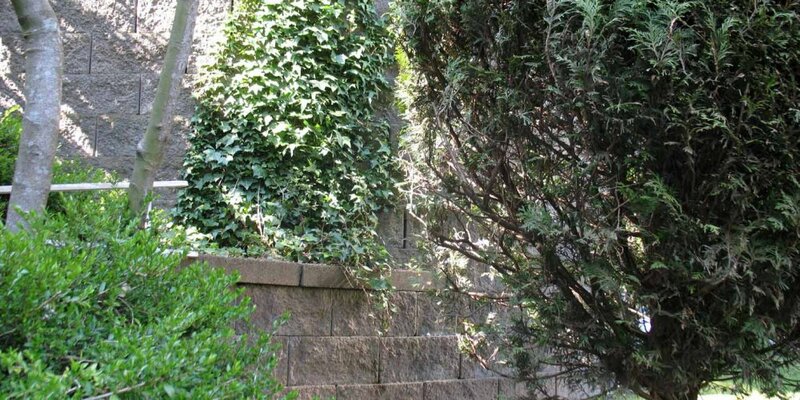 Greening up your retaining wall may also cool it down. Check out this project in Vancouver, British Columbia. 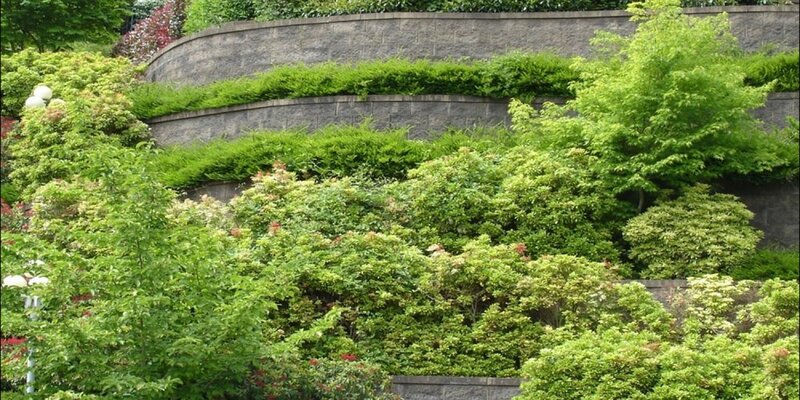 Green retaining walls galore! 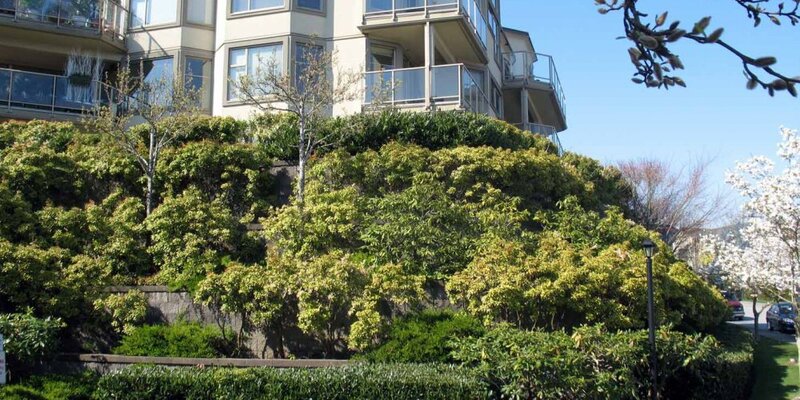 Terraces Retaining Walls | Vancouver, B.C. 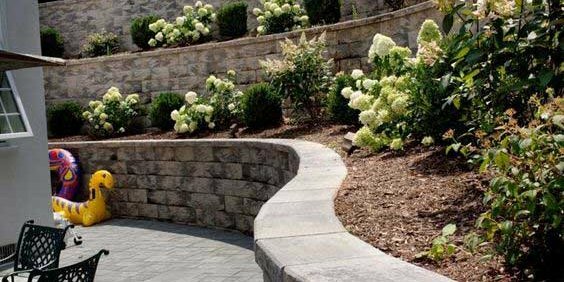 With these key points in mind, you’ll be well on your way to breaking ground on beautiful terraced retaining walls in your outdoor space. 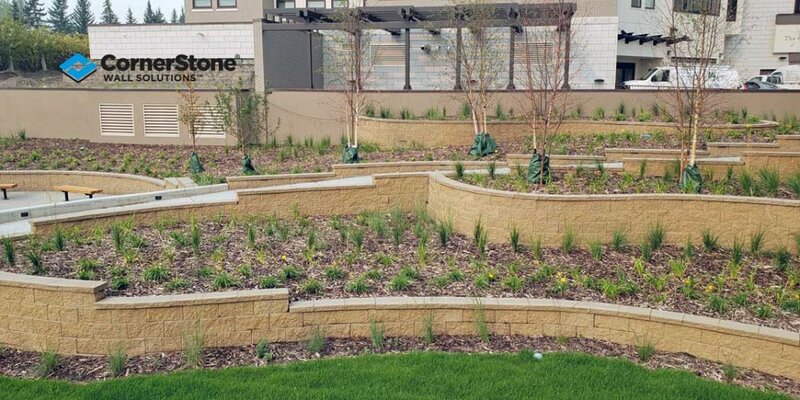 You can build with any ConrnerStone Products ,– and if you’re a little intimidated at the prospect of designing your own project, that’s no problem! Just chat with your local manufacturer representative, and they’ll put you in touch with a skilled and experienced engineer in your area. 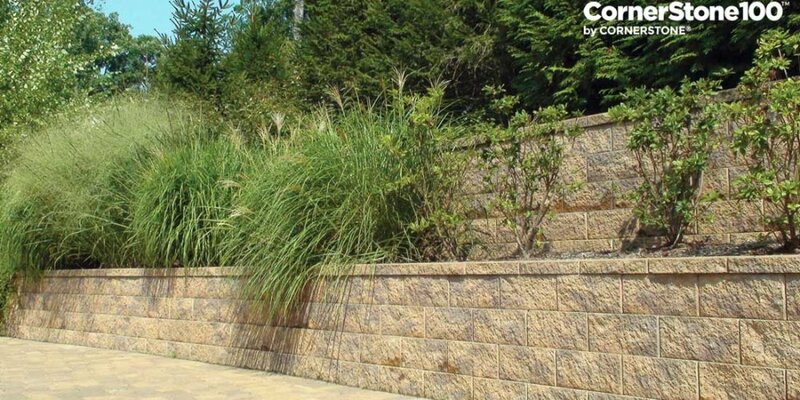 Get your project started today – contact your Local CornerStone Re-seller, and get everything you need to start building your new terraced retaining wall!